This set consists of a gun belt with 24 .44 /.45 cal. bullet loops, border tooling, a "clip point" nickel plated buckle and hundreds of decorative nickel silver dots The belt is adjustable for sizes 38 to 44. 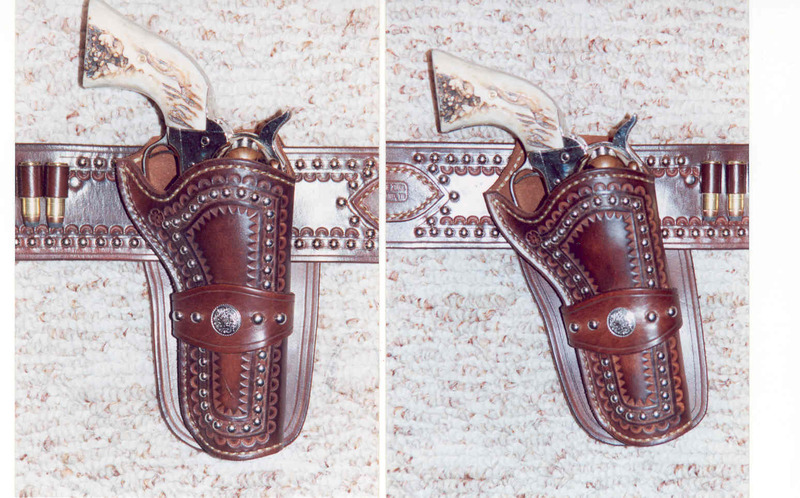 The pair of holsters, one neutral cant right handed and one angled right hand cross draw are made to fit a Colt Single Action Army revolver (or modern clone) with 4 3/4" barrels. Each has double border tooling, a soft suede lining, numerous nickel silver dots and a nickel silver Mexican style concha. Additional full size photos of this rig are available upon request. 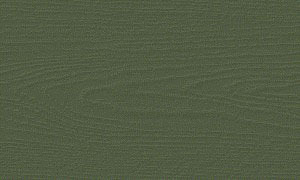 Dark russet color.